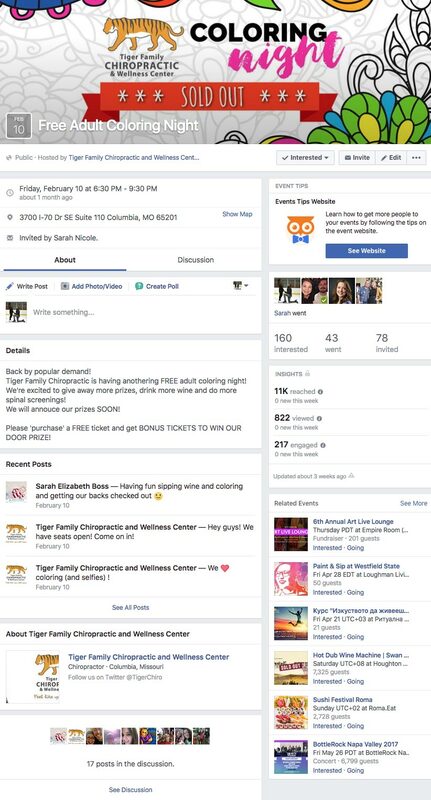 Tiger Family Chiropractic is a fast-growing chiropractic and wellness center in Columbia, Missouri. 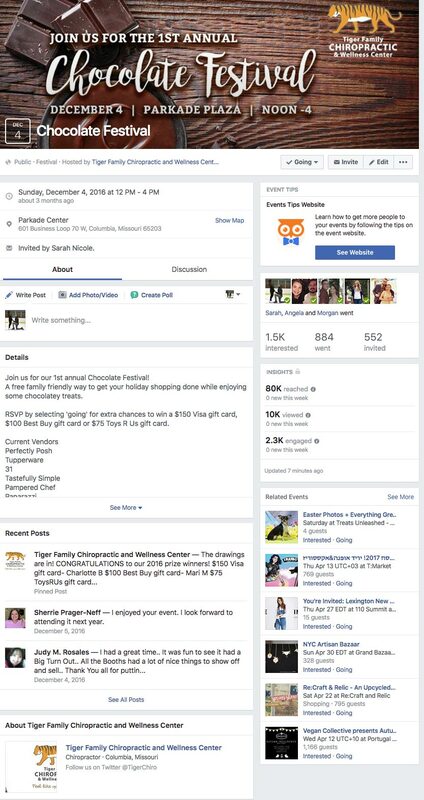 Hosting and participating in community events has contributed to their growth and brand awareness. 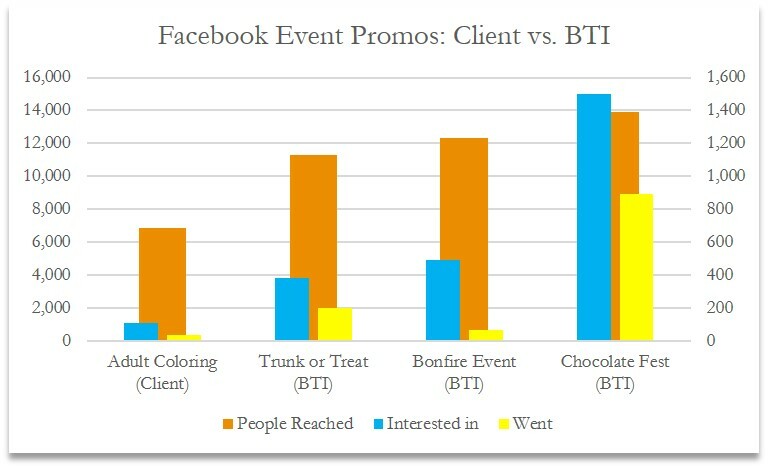 The client was actively utilizing Facebook events and the “boost” feature to add paid promotion. 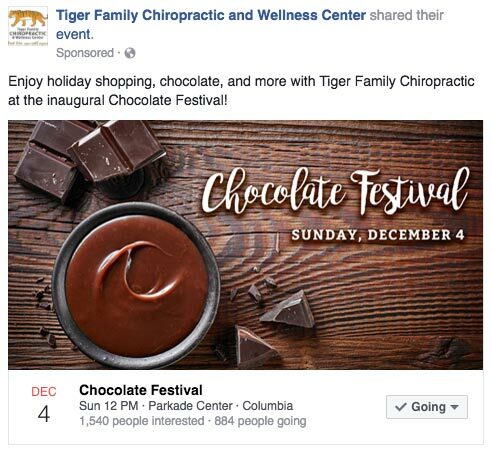 For comparison, Tiger Family Chiropractic contracted Columbia Marketing Group to run full Facebook ad platform event campaigns for three events. 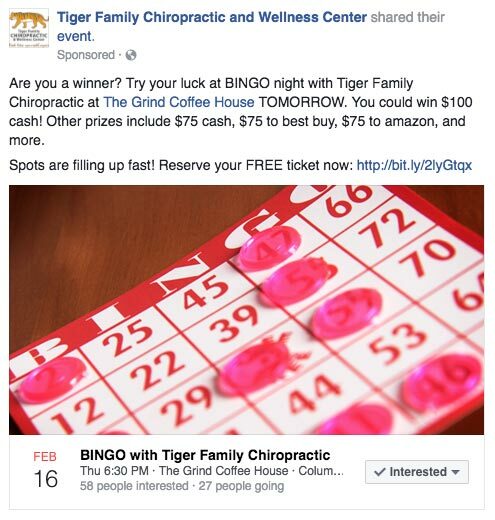 As you can see, CMG’s advanced targeting via the full Facebook ad platform clearly crushed the performance delivered by a simple boost. 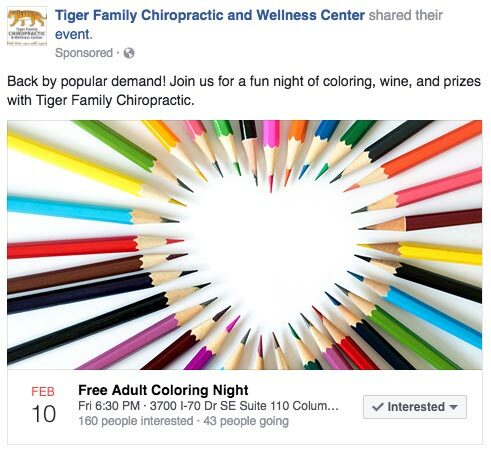 Tiger Family Chiropractic was thrilled with results – each event was well-received and profitable. 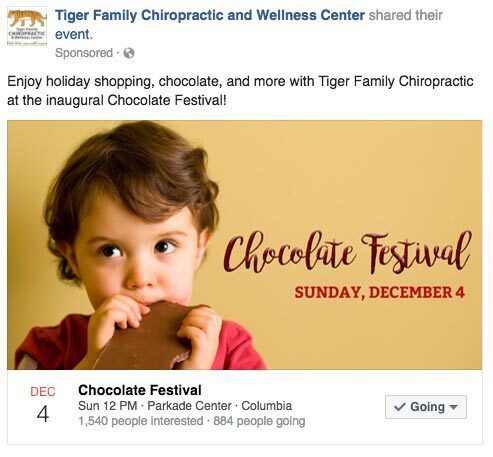 The Chocolate Fest event alone brought Tiger Family Chiropractic 40 new patients. 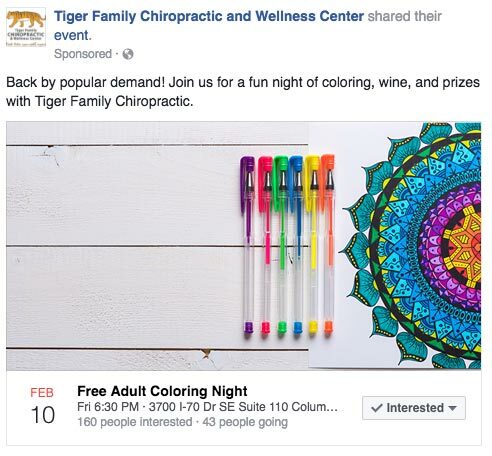 Not 40 leads – 40 appointments. That’s fantastic! 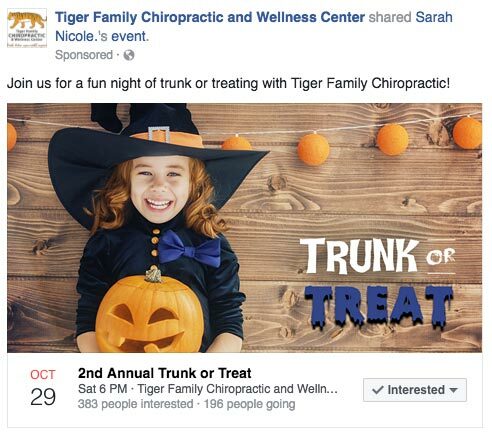 As added value, the CMG team designed each ad image and cover photo and tested multiple images, pushing budget toward the best-performing photos half-way through the campaigns.